Researcher Arthur Kornhaber says that there are three times when our lives are totally transformed by natural events that are pretty much out of our hands: when we’re born, when we die … and when we become grandparents. 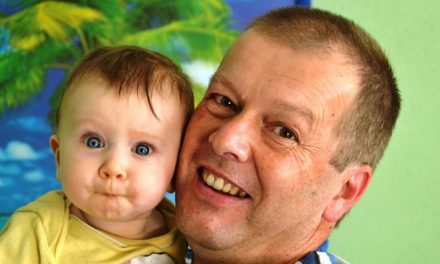 For many, grandparenting is one of the most joy-filled roles they have ever had. Tossing a ball with a grandchild, going for a walk, reading a book, putting a puzzle together-these simple things put the bounce back in a man’s step. What’s behind that joy? Well, being a parent is clearly different than being a grandparent; there’s more freedom and less daily responsibility. Less worry about providing discipline in every tough situation, paying bills, and the like. You get to just love on those kids. 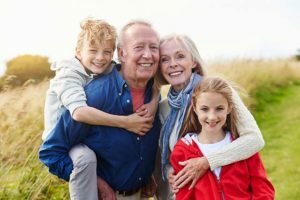 But there’s another dynamic-a switch that gets flipped when a parent becomes a grandparent, and this can be an encouragement for parents who have adult children but no grandchildren yet. Let’s contrast those two stages of a parent’s life. We call them “reflection” for a parent of young adults, and “generativity” for grandparents. Reflection is often a time when parents look back on their kids’ first eighteen or twenty years and evaluate what has happened. They ask: What opportunities did I miss? What should I have done differently? And, is it too late to make things better? Simply the fact that the kids have moved out of the house on their own can bring a sense of emptiness. And if a parent was too busy during his kids’ early years, reflection can be a melancholy or even painful time. Even parents who were committed to their children will re-think their parenting careers-processing the good times and the not-so-good. That’s a big reason why being a grandparent is a magical time. Where a reflecting parent is focused largely on the past, grandchildren practically force him to look toward the future. Instead of focusing on what is ending, grandkids help restore hope in what’s ahead. Instead of dwelling on mistakes he may have made, now he can start planning to leave a positive legacy for future generations. 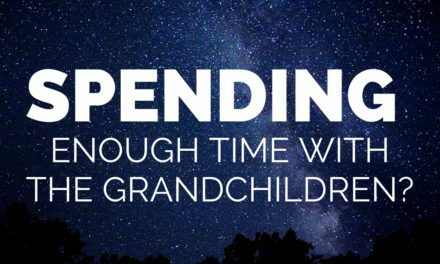 Spending Enough Time With the Grandchildren?